Well, ever since the first time I went to the Tennessee Williams Festival (I think back in 2000) I have wanted to be on a panel – and now it is happening! I am very proud and incredibly excited to be on 3 panels this year. My book Hope and New Orleans: A History of Crescent City Street Names will also be on sale at the festival through the Garden District Book Shop. There are so many great panels and I am so excited to not only participate but to also attend many of the other amazing panels, classes, theatrical performances, cocktail tastings, and lectures. Friday, March 21st: Guest on television show “Steppin’ Out” on WYES. Airs at 7:30pm and 11pm. Saturday, March 22nd: Panelist at the Tennessee Williams Festival. Disappearing Ink: A Look Back and Around New Orleans Journalism. With panelists S.L. Alexander and Rebecca Theim. Moderated by Errol Laborde. At the Hotel Monteleone, Queen Anne Ballroom. 214 Royal Street. 1pm to 2:15pm. 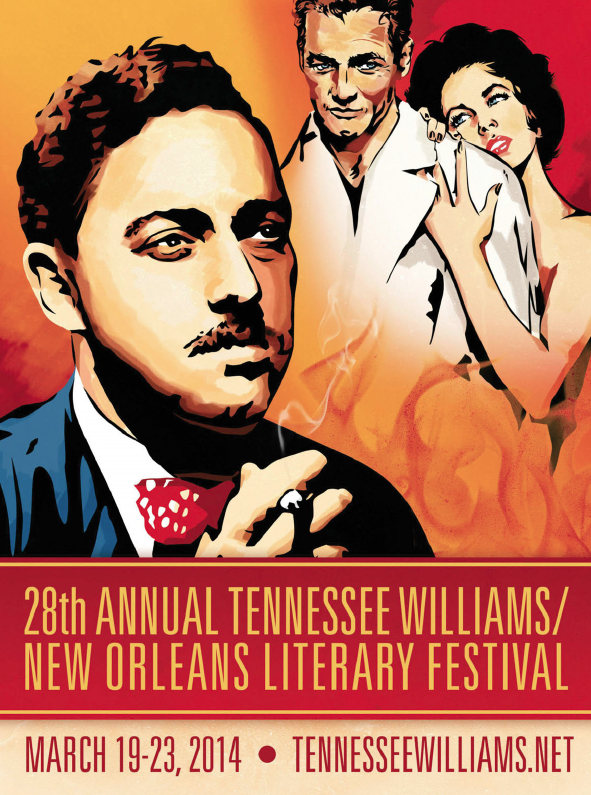 Saturday, March 22nd: Curator at the Tennessee Williams Festival. Extra! Extra! Readings from the Legendary “Mascot” Newspaper. With actors Mikko, Veronica Russell, and Dane Rhodes. At the Hotel Monteleone, Queen Anne Ballroom. 214 Royal Street. 2:30pm to 3:45. Sunday, March 23rd: Panelist at the Tennessee Williams Festival. Louisiana Cultural Vistas 25th Anniversary Panel. With panelists Ben Sandmel and Richard Campanella. Moderated by David Johnson. At the Hotel Monteleone, Royal Ballroom. 214 Royal Street. 1pm to 2:15pm. 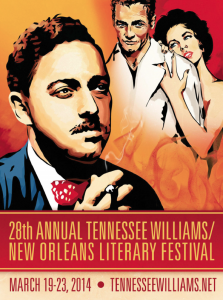 Here is a guide to the Tennessee Williams Festival Program. To quote Tennessee – Enthusiasm is the most important thing in life. This entry was posted in History, Hope and New Orleans, New Orleans, Photography, Research and tagged andrew ward, david johnson, errol laborde, garden district book shop, hope and new orleans, hotel monteleone, louisiana cultural vistas, Mascot, mikko, New Orleans, queen anne ballroom, richard campanella, steppin' out, tennessee williams festival, veronica russell, wyes. Bookmark the permalink.